ZEPEEL IS AN EXCITING NEW VIDEO DATING SERVICE THAT MAKES IT EASY FOR YOU TO CONNECT WITH OTHER AMAZING MEMBERS FOR HIGH QUALITY DATES. NOT TO MENTION THE FACT THAT VIDEO DATING IS FUN! GET STARTED TODAY – AND FIND THAT SOMEONE SPECIAL. Zepeel provides an authentic and reliable way to meet singles - watch a profile video, make a connection, talk through video message, meet for a live video chat. Announcing Zepeel, the new, free, and innovative dating app. What makes Zepeel so special is it’s the only dating app that contains three video features: video profiles, video messaging, and live video chat. Features that will help you find the love of your life! Signing up on Zepeel is quick and easy. Just answer a few brief questions and upload or record a 30-second video of you! That’s it! Now you can start scrolling through video profiles and ‘plus’ the ones you like. 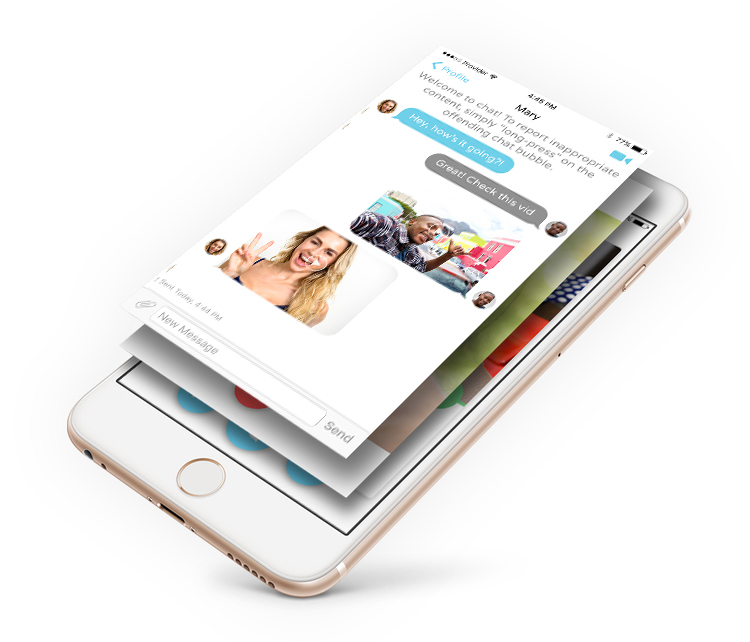 If you get a plus back—and believe me it’ll happen quick!—you can start video messaging with them. Zepeel’s dating app gets you where you want to go fast! You don’t need to crawl through static profile photos or send awkward text messages (Yawn). You want excitement! With Zepeel’s powerful video messaging and dynamic live video chat, you’re going to get a sneak peek of a potential match’s real-life persona. No more disappointment that your dream girl or guy turned out to be a dud. Once you start video messaging you’ll quickly learn if there’s chemistry, for what’s love without it? Getting on a live video chat with your burgeoning crush will really shift things into high gear as you face-time and start building your love connection! Stop using those old fuddy-duddy dating apps. Where have they ever gotten you? Go for the Zepeel experience instead by tapping through to download the app now! To download the Zepeel app is simple. Just go to the App Store or Google Play.